Pyrex Junkie: Happy 70 year wedding anniversary nanny! Happy 70 year wedding anniversary nanny! Although my grandfather died in 1979, I still say happy anniversary to my grandmother. Today August 1st would have been their 70th wedding anniversary. 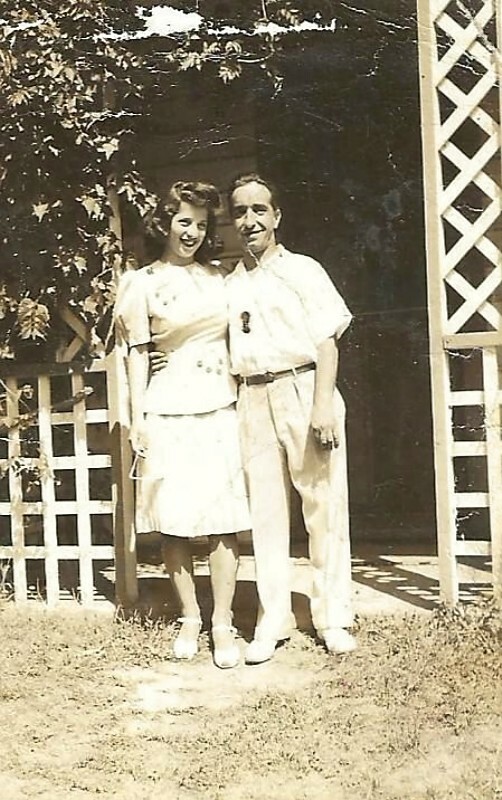 My grandma and grandpa on their honeymoon in the Poconos in 1943! You're lucky. My family tree has divorce all over it- several branches back. I have no memory of married grandparents!